George H. W. Bush has sepsis – why is it so dangerous? 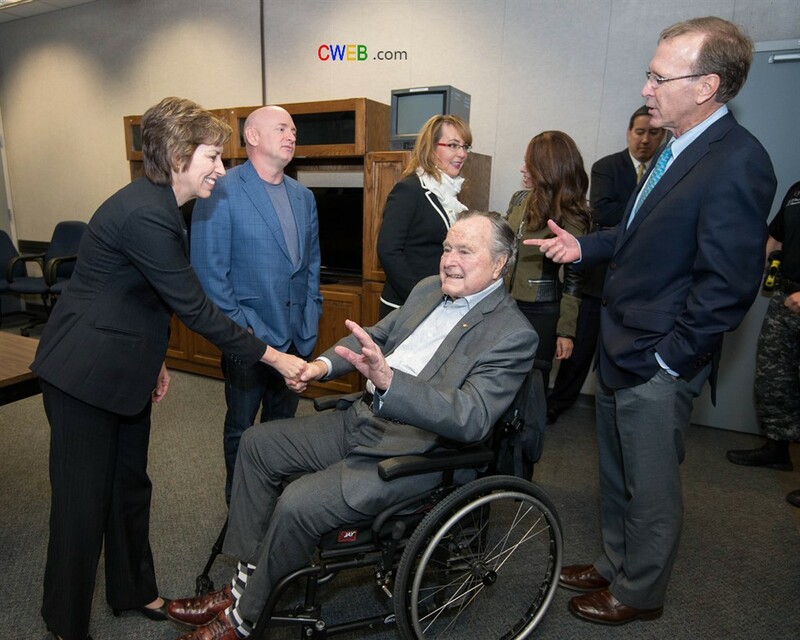 Former Presidents George W. Bush and George H.W. Bush attend Barbara Bush’s funeral service. Former president George H.W. Bush was hospitalized April 21 with sepsis, a life-threatening condition caused by complications of the body fighting back against an infection. The former fighter pilot was released from an intensive care unit at a Houston hospital on April 25. Between 1 in 8 and 1 in 4 patients with sepsis will die during hospitalization. Sepsis contributes to one-third to one-half of all in-hospital deaths. Sepsis, sometimes inaccurately referred to as blood poisoning, is sparked by your body’s reaction to infection. When you get an infection, your body fights back. When this process works the way it is supposed to, your body quickly takes care of the infection, and you get better. However, the body’s response to infection sometimes results in collateral damage. This is known as sepsis. The collateral damage can impair kidney, brain, heart or other organ functions. Sepsis can result from any type of infection. Most commonly, it starts as pneumonia, a urinary tract or intra-abdominal infection such as appendicitis. Most often it starts at home. Once a person is diagnosed with sepsis, he or she will be treated with antibiotics, IV fluids and support for failing organs, such as dialysis or mechanical ventilation. This usually means a person needs to be hospitalized, often in an intensive care unit, as was the 41st president. Sometimes the source of the infection must be removed, as with appendicitis or an infected medical device. Many conditions can mimic sepsis, including severe allergic reactions, bleeding, heart attacks, blood clots and medication overdoses. Sepsis requires particular prompt treatments, so getting the diagnosis right matters. As recently as a decade ago, doctors believed that sepsis patients were out of the woods if they could just survive to hospital discharge. Unfortunately, that isn’t the case for many patients. Rather, patients commonly experience weakness, fatigue confusion, cloudy thinking, anxiety or depression. Collectively, these common symptoms after sepsis are known as post-intensive care syndrome (PICS). In addition to new disabling symptoms, patients are also vulnerable to further health setbacks after sepsis. As many as 40 percent of sepsis patients go back into the hospital within just three months of heading home, creating a “revolving door” that gets costlier and riskier each time, as patients get weaker with each hospital stay. Post-intensive care syndrome and rehospitalization mean that we have dramatically underestimated how much sepsis care costs. On top of the US$5.5 billion we now spend on initial hospitalization for sepsis, we must add the costs of rehospitalizations, nursing home and professional in-home care, and unpaid care provided by devoted spouses and families at home. Raising public awareness increases the likelihood that patients will get to the hospital quickly when they are developing sepsis. This in turn allows prompt treatment, which lowers the risk of long-term problems. Doctors and policymakers are also working to improve the care of sepsis once patients get to the hospital. The high number of repeat hospitalizations after sepsis, however, suggests another opportunity for improving care. Common reasons for rehospitalization are recurrent infection or sepsis; flares of heart, lung or kidney disease; and aspiration (swallowing food into the lungs).